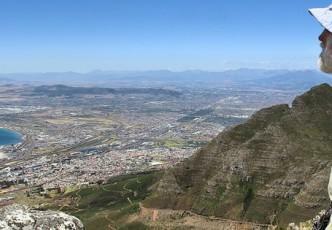 There are a number of fantastic hiking routes to the summit of Table Mountain that require moderate fitness and offer an extraordinary nature experience right in the heart of the city. Your expert guide will ensure your safe passage to the top of this iconic mountain (weather permitting). If you find you are too tired to walk down, you have the option of taking the cable car (on guest's own account). TABLE MOUNTAIN: There are a number of fantastic hiking routes to the summit of Table Mountain that require moderate fitness and offer an extraordinary nature experience right in the heart of the city. Your expert guide will ensure your safe passage to the top of this iconic mountain (weather permitting). If you find you are too tired to walk down, you have the option of taking the cable car (on guest's own account).